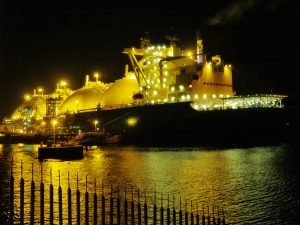 It’s hard to overstate the growing importance of natural gas in the global energy marketplace, and the scale and mood of June’s World Gas Conference in Washington DC bore witness to the resurgent confidence of the global gas industry. With over two thousand delegates and 300 companies exhibiting in the hall, the conference reflected an industry that feels positive about its future. In 2011, the International Energy Agency talked about a potential “Golden Age of gas”. That suggestion attracted some derision at the time, as the flattening costs of renewables and the persistent growth of Asian coal use appeared to preclude a significant global shift to gas. Seven years on, the positive view of gas – and its production and use — has been largely vindicated, at least for now. Much was made about the coal rebound in 2017, where non-OECD economies were thriving and keen to use cheap fuel to continue to do so. Lost in that thread was the fact that gas consumption made a far bigger jump, posting its biggest growth in nearly a decade — with demand in China surging by 10 percent. Global investors have poured huge sums into new production, pipelines, and LNG plants. Yet, even with that new supply, the appetite only continues to grow. Whether China actually becomes a huge market for U.S. LNG might remain an open question for now. Western Europe and Central America have already subscribed to large quantities of US natural gas. Whether it’s support for expanding industries, fuel switching, or new fleets of gas-powered vehicles, the world’s energy infrastructure is being built for the ‘Golden Age’. However, a continuing threat to the growth of gas is the rate of methane leakage from wells, pipelines, and plants which was recently found to be 60% higher than the EPA inventory estimate. Given that the warming potential of methane is roughly 30 times greater than CO2, the problem of fugitive emissions has drawn the attention of both environmentalists and industry groups. While most of the industry speakers saw the “fugitive emissions” problem as one that can be solved, EPA representatives suggested the agency was content to let the industry address the issue without policy coming from Washington. EPA spokesman Bill Wehrum praised voluntary agency programs for companies to curb methane pollution, saying “These programs are some of the best of what government can do.” While voluntary approaches are helpful, they are arguably not sufficient, and most people in the industry would probably prefer a light but sensible regulation now, to a punitive one further down the line. 1) How important is the threat to natural gas from fugitive emissions? 2) How can the US best address these fugitive emissions? Is it best to have a mix of voluntary and regulatory approaches, one or the other, or something else? 3) In your opinion, is the future of global gas markets as positive as the coverage would suggest? It surprises me that the gas companies don’t view fugitive emissions as lost profit. Wouldn’t it be in their best interest to monetize the emissions? I think the gas companies would want to mitigate losses, however, the fact that there are fugitive emissions means that it would require a regulatory approach at this point. Unfortunately, our appetite for constant power is difficult to achieve via renewables alone. I would like to see a complete transition towards renewables and investment in that is what will give us the greatest push towards electrical production without all of the emissions. In the meantime, Natural Gas has the potential to transition from more carbon-intensive fuels to less. Only if the losses aren’t what they currently are. I have a concern over what this does to the aquifer in addition to the atmosphere. Take a flight across the US today, look out the window and you will see thousands of wells as a result of this boom. I support that fastest path towards climate solutions. This is a baby step forward, maybe even a side step. Development of Wind Turbines and wave energy has greater potential than a fuel source that will run out. Let’s invest spend the time investing in renewables. The energy that keeps on giving. What renewable, low carbon alternatives do you think are best to deal with the intermittent and variable nature of wind and solar? It is undeniable that variable renewable energy (VREs) impose costs on the grid, and that these costs grow sharply as the penetration of VREs increase. I want renewable solutions too…but this is a real problem that must be addressed effectively. Bruce … There are lots of new papers out there talking about just what is required by “Upgrading the grid”. If we continue to think only of central generated and distributed electricity the costs and issues are different than when everyone sees a much more flexible grid in the future. Mostly it is all about a digitized grid, as are other papers. All this data is allows utilities to work in a more efficient and less costly way given the increasing sources of generation, dependence on weather knowledge, and variety of owners. RMI has a nice INSIGHT paper on Demand Flexibility, which is an extension of Demand Response combined with communications and control technologies which allow major loads to “continuously respond to changing renewable supply levels and other market signals.” AND demand flexibility is cost effective. Compared to gas fired generation when it is used to balance renewables, demand flexibility avoided $1.9 Billion of annual generation costs. Finally storage will be cost effective in a few years. The arrival of cheap battery storage will mean solar and wind technologies “can help meet demand even when the wind isn’t blowing and the sun isn’t shining, says Seb Henbest of Bloomberg New Energy Finance. NREL has concluded that future low battery costs leads to long-term electricity prices that are actually lower than current prices. This upgraded grid will be a different grid and it is time to redo much of it as it is also an old grid. The correct question is how important is the threat to civilization from natural gas (NG)? NG is 87 times more powerful than CO2 as a greenhouse gas over a 20 year time horizon… which is about all the time we have to change course on emissions to prevent long-term tipping points from kicking in. The 30X value is a hundred-year time frame. On an instantaneous basis, NG has about 200 times the warming potential of CO2 (though it breaks down to CO2 over about a decade). With fugitive emissions and over a 20-year time horizon, NG is as bad if not worse than coal when it comes to climate change (though coal has other bad effects such as mercury poisoning and other health and environmental impacts). Even over a 100-year time horizon (which is not the fair way to view the issue), NG doesn’t provide any significant reduction in warming. Put another way, if all coal plants were switched to NG tomorrow, global temperatures would immediately go up and stay slightly elevated for about 100 years before the “benefit” of NG kicked in. And, I should add, that coal smoke cools the Earth, though it only lasts for a few weeks in the atmosphere, but the albedo change would also cause the Earth to warm (by a lot! ), though that issue applies to renewables as well as NG. Even if fugitive emissions are lowered from their estimated 6% to 2%, NG will only be slightly “less bad” than coal. So we need to face the fact that we must quickly ween ourselves off of NG as well as coal. Gas’s Golden Age … It’s all about the money. •	Pipeline infrastructure ;… The Natural Gas Act of 1938 allowed to government to bestow the right to use eminent domain on pipeline builders. When a pipeline is deemed ‘needed’, a judgment the National Environmental Policy Act requires FERC to make, that 14% and all those land use rights are bestowed on the pipeline company. •	This is not 1938; People whose land is being taken against their will are making their voices heard, starting with KeystoneXL protests. The protesters believe NEPA’s ‘need’ calculation should include whether more gas burned means more climate change. The amount of methane leaked in 2015 had as much impact on the climate as emissions from coal-fired plants during the same year. Since the issue is in the courts, fixing those errant emissions might be key here. Most of that fixing is easy and inexpensive according to the IEA and the NRDC who say that a 75% reduction in errant emission is possible and will only cost 1% of sales. •	FERC looks for contracts to buy the gas as the demonstration of ‘need’; What if those contracts are written between affiliated companies? That 14% plays a big part here, especially if the contracts can be canceled and the gas exported instead. Eminent Domain for export gas? Not exactly a community benefit. •	Final use considered; If the contracts for pipeline gas are going to be used to make electricity then shouldn’t alternative ways to make that electricity be part of the ‘need’ decision? Currently FERC does not question the validity of end use. It claims it is only judging gas ‘need’, nothing more. Don’t know how much of the above FERC will address in their ongoing reevaluation of their 20 year old rules and procedures. 1. EPA needs to allow for innovation in the monitoring and enforcement space on methane emissions, particularly from wells and pipelines. In many plays, particularly the wet ones, the natural gas is free to produce but sells for market price. Therefore every quantity of NG is automatic profit. However, the approved technologies to monitor methane are behind the times and new technologies take a long time to be approved. EPA could allow for innovation in this space, including using fleets of autonomous drones to monitor methane leakage and alert companies where their valuable resource is going. As has been said, “We have to stop being against everything that we’re not specifically for.” If we are going to solve the climate change problem we need every available resources and leaving NG on the sideline just doesn’t make sense. Greg: NG is replacing coal because it is cheaper, not because it is better for climate. As I pointed out above, NG is as bad, if not worse, than coal when it comes to climate and even if most fugitive emissions were eliminated, it would only be slightly “less bad” than coal. The good news is that wind and solar are cheaper than coal too and they don’t cause the damage that NG does, When the cost of climate impacts are accounted for, wind and solar are far less expensive than NG, even including the cost of handling variable supply and demand. While carbon capture systems like NetPower decrease the climate impact of NG (but don’t address the upstream fugitive emissions problem), when the extra cost of the capture system is included, again, wind and solar are less expensive. So, it turns out, to address climate change, we need to leave NG on the sidelines.